Dalvero Academy Members Launch Site! 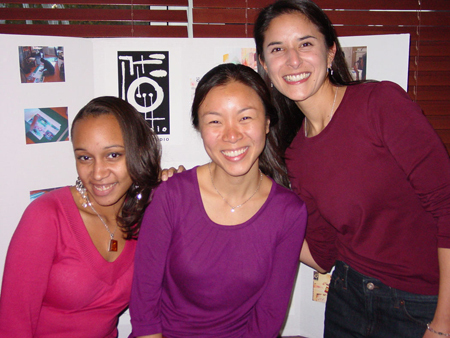 Dalvero Academy members Danielle McManus, Rosa Lee and Sara Dilliplane (pictured, left to right) announce the launch of their professional website – the 1104 Studio! Visit the site here: www.the1104studio.com. There you will see their illustrations, design, photography, fine arts and textile work – some terrific stuff! Congratulations and we wish you much success with it! !